The Aggies took obvious steps towards national contention in Jimbo Fisher's first season. Texas A&M football went all in on trying to win the SEC title and a national championship when it handed head coach Jimbo Fisher a 10-year, $75 million contract. The first year didn’t deliver a national championship, but there were plenty of signs of progress. 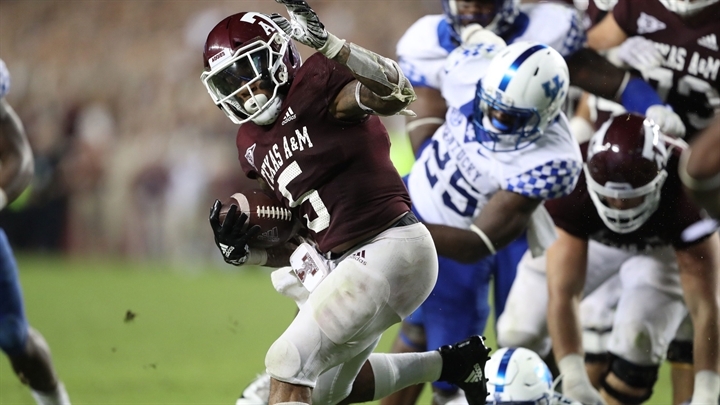 Running back Trayveon Williams posted one of the finest seasons by an Aggies running back. Defensive coordinator Mike Elko coached up an elite run defense. And now, optimism abounds in College Station. Here’s our full postmortem and review of the 2018 Texas A&M Aggies football season. It took Texas A&M running back Trayveon Williams one game to announce that he was ready to be the SEC’s best running back. Williams opened the year with a 240-yard, three-touchdown performance against Northwestern State. He ended with 1,760 rushing yards – the most in a single season in Texas A&M history – and 18 touchdowns. Williams rushed for 100 yards nine times, and 200 yards three times. Picking a most important player on Texas A&M’s defense is difficult, especially with the elite performance in the front seven. However, a senior leader on the defensive line helped cause havoc and lead the charge. Keke finished second on the team with 11 tackles for loss and led the way with seven sacks. His presence helped open things up for linebackers Otaro Alaka and Tyrel Dodson to post strong seasons. Texas A&M recruited well in the front seven over the final few seasons of Kevin Sumlin. The defensive line was consistently a strength under John Chavis, including such luminaries as Myles Garrett and Daeshon Hall. However, Mike Elko managed to unlock the front seven. The Aggies finished No. 3 nationally in rushing defense, holding opponents to just 95.2 yards per game and 3.2 yards per carry. Only Michigan State and Mississippi State were better. The final stats were that low despite playing Travis Etienne, Benny Snell, Josh Jacobs and Nick Brossette. The pass defense still needs some work, and the overall defense finished No. 32 in the nation. However, that’s an encouraging start. Just a year earlier, Texas A&M ranked No. 70 in rushing defense and No. 78 in total defense. Elko’s coaching is already paying off. While winning the SEC and a national championship is the ultimate goal in College Station, LSU sat on the schedule as a spectre. Texas A&M had not beaten the Tigers since they joined the SEC, even in years where the Aggies had a better team. That all changed during one of the wildest games in college football history. Media gets to go down to the field with five minutes left in the game. We stayed down on the sideline for virtually a completely separate football game. Losing to a good Mississippi State team wasn’t the worst thing. But after the encouraging results early in the year, losing on the road against the Bulldogs was a stark dose of reality. Through seven games, the Aggies were 5-2. The only losses were against No. 1 Alabama and No. 2 Clemson, the two teams that ended up playing in the national championship game. They also picked up a big win over Kentucky. The fourth quarter of the matchup against Mississippi State was disastrous. The Aggies had a narrow 14-13 deficit, but the Bulldogs took over from there. Quarterback Nick Fitzgerald scored three plays into the second half, and added a 76-yard breakaway late in the fourth to ice the game. Texas A&M had a punt, a turnover on downs and an interception to close the game. 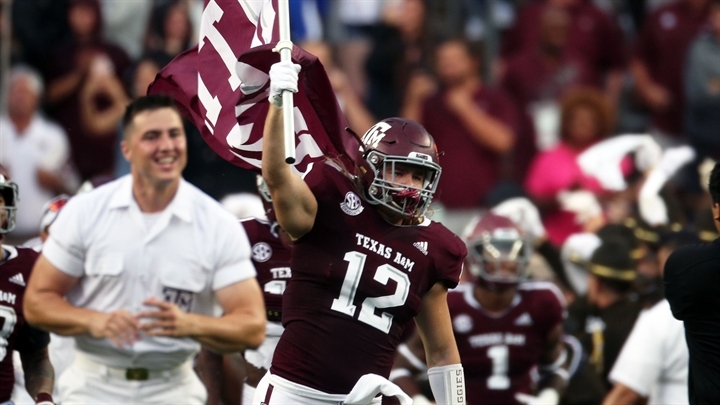 Biggest offseason question: Can Texas A&M overcome key attrition? Having eight players invited to the NFL Combine is a tremendous honor for any program. Otaro Alaka, Tyrel Dodson, Kingsley Keke, Daylon Mack, Erik McCoy, Jace Sternberg, Trayveon Williams and Donovan WIlson will have a shot to hear their names drafted in the 2019 NFL Draft. But for all the positivity – especially from a couple of early entrants – losing eight NFL-caliber players can be debilitating to a roster. Four of the top five tacklers on the roster are gone, along with the leading rusher and top offensive lineman. SB Nation ranks the Aggies No. 108 in returning defensive production. Of course, the Aggies have a consensus top five recruiting class heading to College Station. That class joins a blue-chip filled couple of classes from Kevin Sumlin in years past. The talent is there to overcome these losses. The offseason will be a vital time for everyone to get on the same page. Things were up and down in the first year under Jimbo Fisher, and that’s to be expected. By the end of the season, the highs were high enough that it’s absolutely clear that the state has a new power. Texas A&M beat LSU for the first time since joining the SEC. The Aggies were the toughest challenge that national champion Clemson faced this season. They demolished North Carolina State in a bowl game, and fielded one of the nation’s best run defenses. Last Wednesday, Texas A&M reeled in a top five recruiting class. The first year wasn’t perfect, and that’s fine. Texas A&M as a program is heading in the right direction. When you hire a coach of Fisher’s caliber to the contract the Aggies offered, the expectations rise quickly. There will be much tougher tests down the road, starting with four games against national title contenders next season. Fisher passed his first set with flying colors.